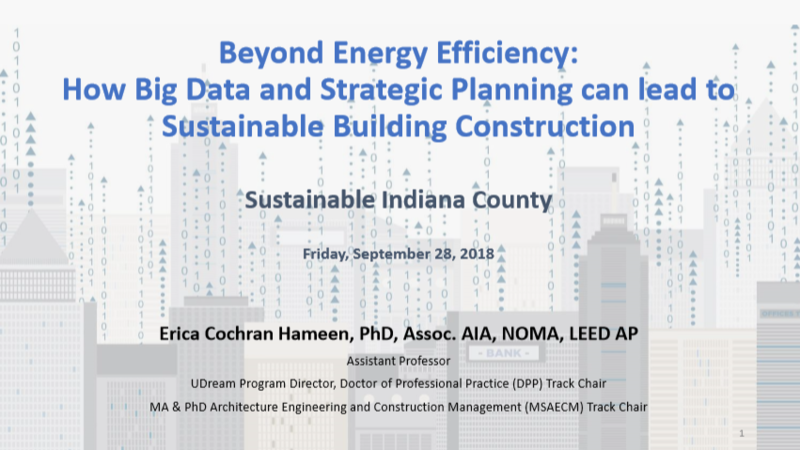 DETAILS: Breakfast/Registration at 8:30 a.m. Includes lunch. Family supporting jobs. 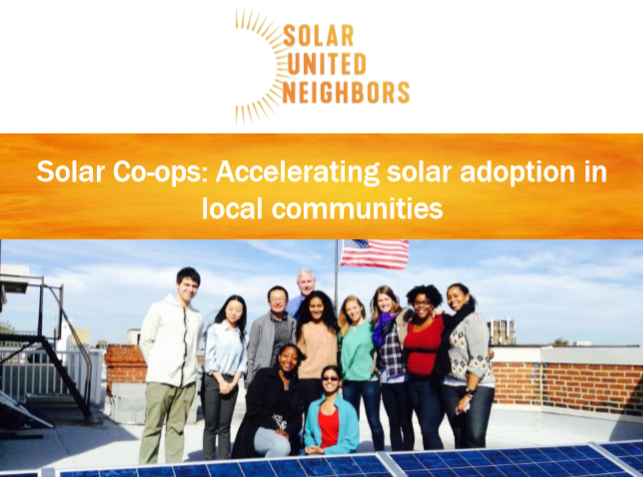 Healthy and thriving communities. Rural economic vitality that gives all its citizens a chance to prosper. 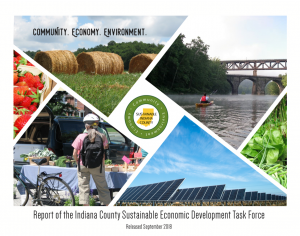 These are aims of the Indiana County Sustainable Economic Development Task Force. 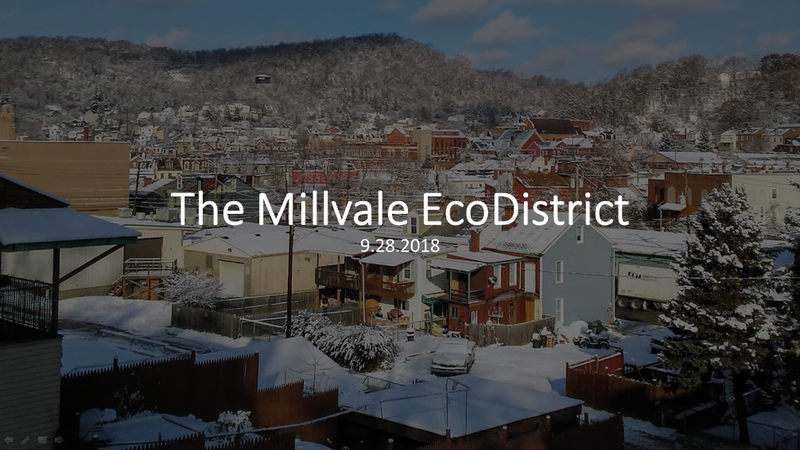 Over the past year, the Task Force has developed a set of recommendations to help guide the County’s progress as a sustainable community. 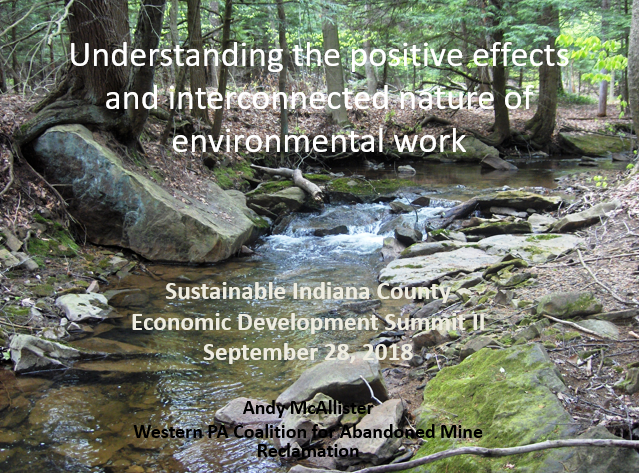 Its final report will be presented at Summit II, on September 28, 2018 at Rustic Lodge, 2199 Oakland Avenue, Indiana, PA. A panel of group leaders will provide background on the process, as well as the recommendations of each group. 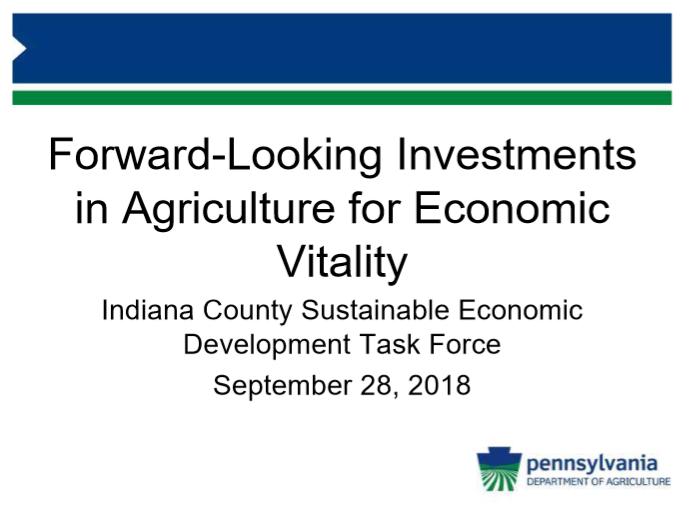 Keynote speaker Scott J. Sheely, Special Assistant for Workforce Development for the PA Department of Agriculture, will be joined by other expert speakers. They will highlight opportunities for promoting citizen education, and workforce and economic development within each of the issue areas.